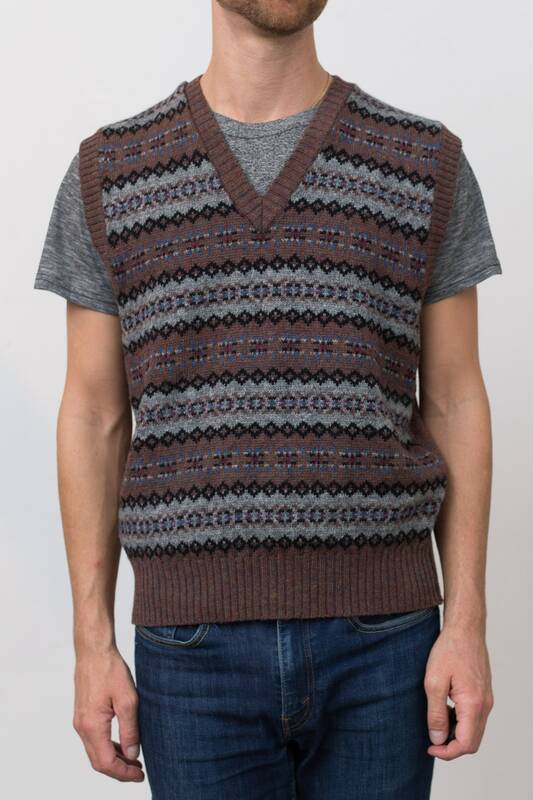 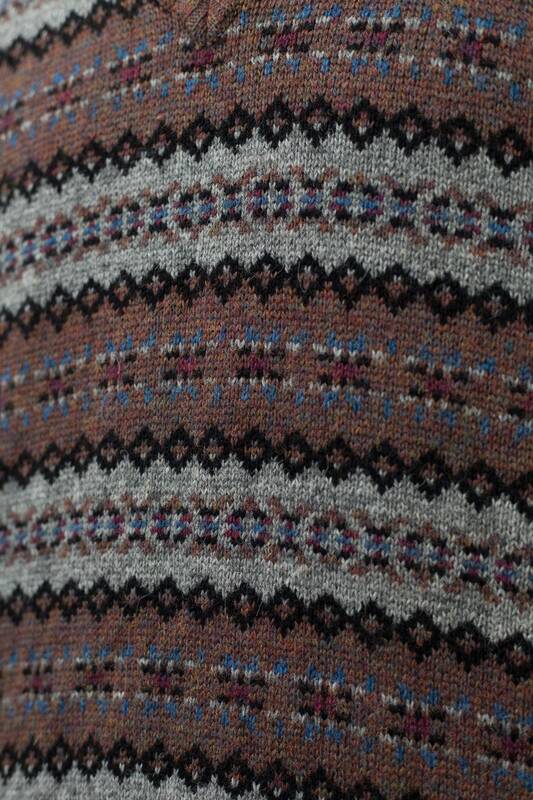 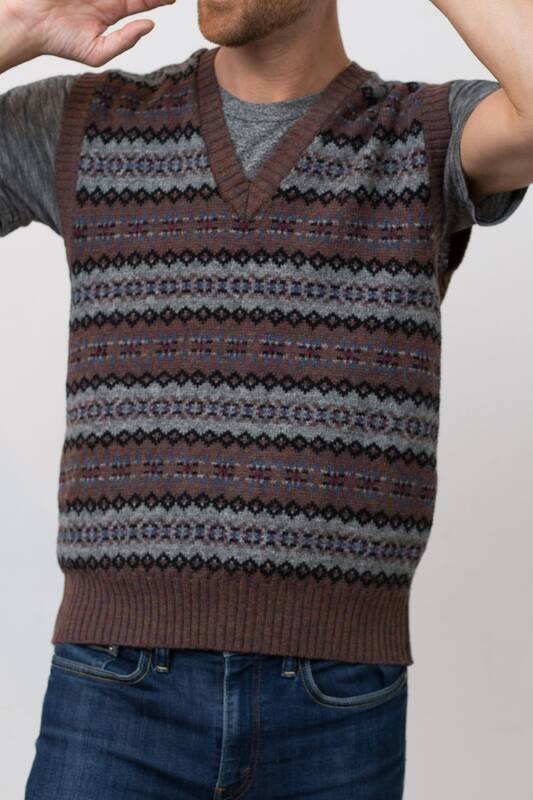 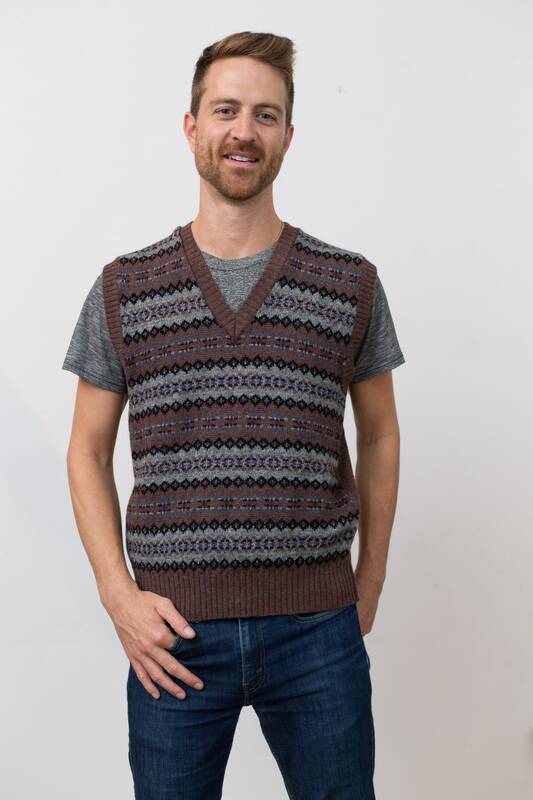 This is a stylish vintage medium grey and brown Geometric sweater vest. 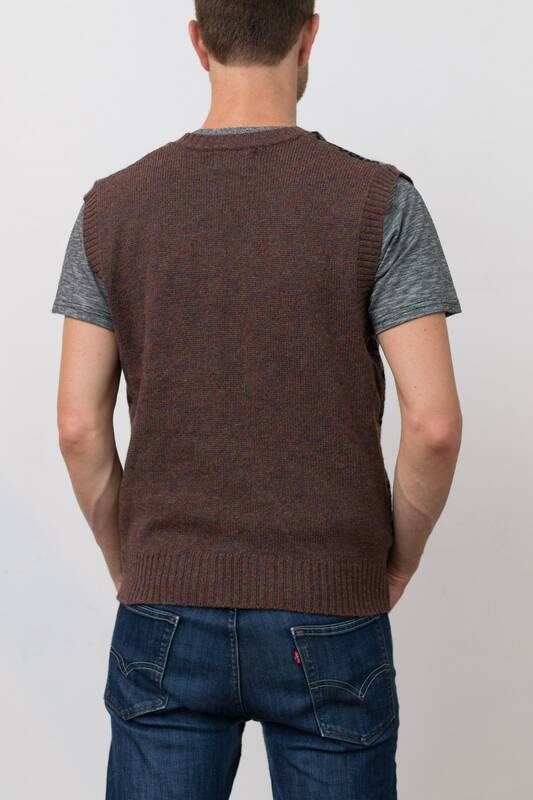 Size: Tag reads medium (model wears medium). 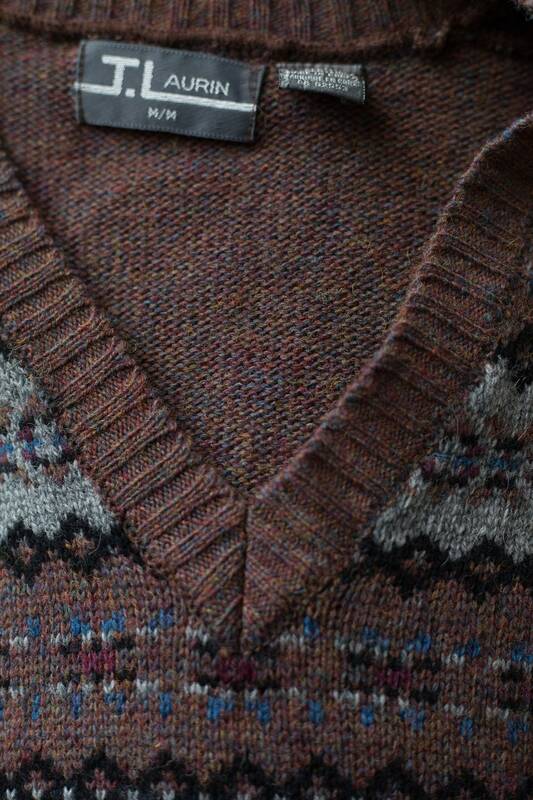 Material: 70% wool, 30% acrylic. 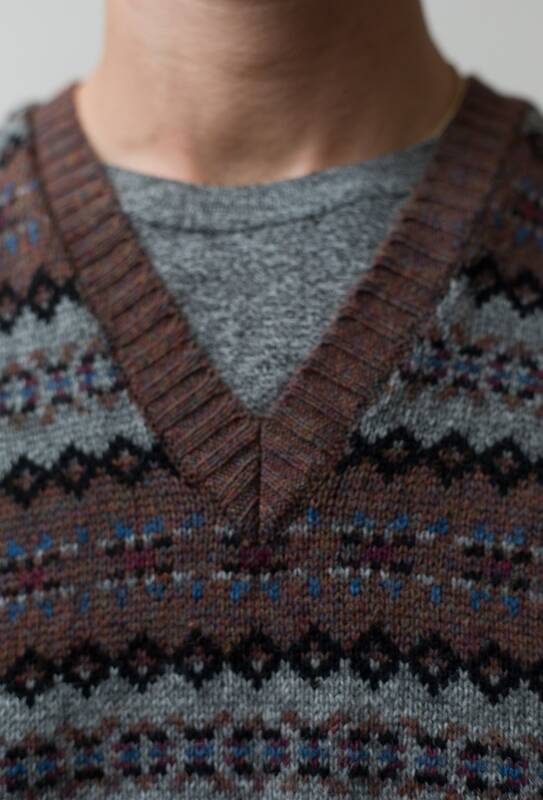 Length from neck seam to bottom of sweater: 25"